Mehrun Nisa, who lived in Maryland a few years ago, passed away today in Philadelphia, Pennsylvania. She is the elder sister of our community member Brother Muhammad Ayub. Verily, to Allah belongs what He has taken, to Him belongs what He bestows, and everything has an assigned time with Him, so be patient, and hope for reward. 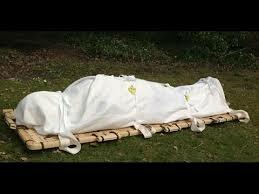 The family requests dua for Allah to forgive her sins, have mercy on her and make her grave a garden of Paradise. Ameen.